Beaducation: The Blog: We have a winner for Week 4! We have a winner for Week 4! 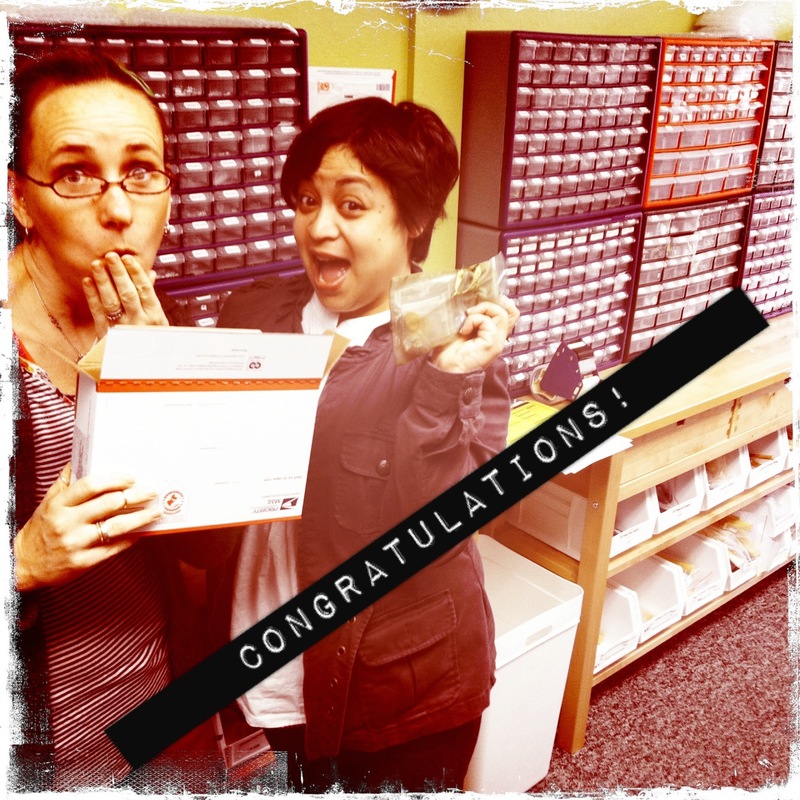 We have a winner for week 4 of our National Craft Month Giveaway. Lisa and Danelle packing up the prize! Congratulation to Shannon N who wrote "What a fun combination of goodies! Makes me want to make something! Hope I win!" It was her second post to her blog picked by the random number generator that got her the win. Shannon, I left a reply on your blog post. In case you missed it, just shoot me an email at kate at beaducation dot com and we'll take it from there. Last contest up tomorrow at 8AM PST. See you then! Oh my gosh! I have been traveling and hadn't been on line for a week! I am so excited to win! Thank you! I'm very happy for those who won. Next time I need to pay attention to these things. I have entered different contests ...never to win.